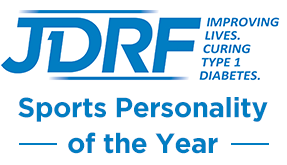 Dx Birmingham 2017 | Life, Sport and Diabetes - An everyday look at my life with type 1 diabetes. This weekend I had the pleasure of attending the very first UK Diabetes Exchange held by Abbott Diabetes, alongside fellow bloggers with type 1 in Birmingham. The aim of the event was to help bring people from across the UK together to share experiences and information, including exciting updates on the Freestyle Libre system. Fourteen of us attended the event at Malmaison and the day began with an icebreaker to help people get to know each other. The rest of the day was then led by Stephen Dixon, presenter of Sky News and person with diabetes, who kindly shared his experiences of living with diabetes including the pressures of live TV, throughout the day. The first session was a lecture on ways to make the most of blogging, followed by lunch and an afternoon session on information sharing in different areas which impact diabetes such as food, exercise, school/ work and relationships. It was then time for an update on the recent Abbott announcement on reimbursement in the UK. So, what we are now aware of is that the Libre scanner and device have been put onto the drugs tariff for England and Wales. This means that there is now an opportunity for CCGs (clinical commissioning groups), who are in my understanding and in this context, the part of the health board in each area who make decisions on how the Libre might be distributed to patients. In terms of distribution, we found out that there is currently not a plan to give Abbott strips with the Freestyle Libre device. But many of the decisions on the how many etc. type questions will be made by CCGs based on their local health economy. In my opinion, there will be an even greater uptake of Libre users once it's available on the NHS*. Therefore, it was only natural that the subject of patient and HCP (healthcare professional) education should arise. Regarding this, Abbott mentioned that they have re-visited the training modules they have created for both parties and one education option, and the updated versions will shortly be available online at the Freestyle Libre System academy. Which will help people get right back to basics on using the Libre, insertion and utilising data etc. There were also questions regarding the DVLA and whether there were plans for them to start allowing Libre scanning to be used as a method to check glucose levels before driving. This wasn't a question that Abbott could answer outright because the DVLA is a separate organisation and it would require a change in the law. But they are aware of the demand for this from patients, in wishing it to become a possibility. I believe that considerations are being given by the Committee for Transport into ISF (Interstitial Fluid) as a glucose checking method, which would also include CGM (continuous glucose monitoring) use. On an additional note about America and the recent news that the Libre will be available soon there, December 2017 has been given as a potential date, which is very exciting news indeed! 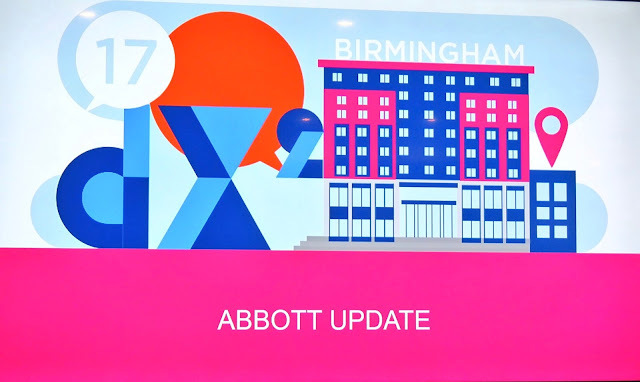 Abbott kindly sponsored me to attend the Dx Birmingham event, however I was under no obligation to blog about it and the views expressed are my own.